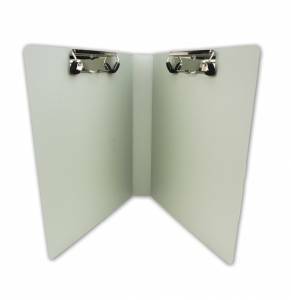 Our Rhino-Tuff privacy ringbinder is the perfect solution for separating the chart into two sections or when simply when more document capacity is needed. Made from our industry leading Rhino-Tuff 1" binders (both side and top opening styles available). Choose from one or two rugged factory-installed Dura-Clip fasteners. Top Seller!